When I was younger, Coq au Vin was a bit of a mystery. I couldn’t for the life of me figure out why anyone would cook chicken in red wine. Then I was given the opportunity to taste it, and I was hooked. All I could think was why haven’t I tried this before. 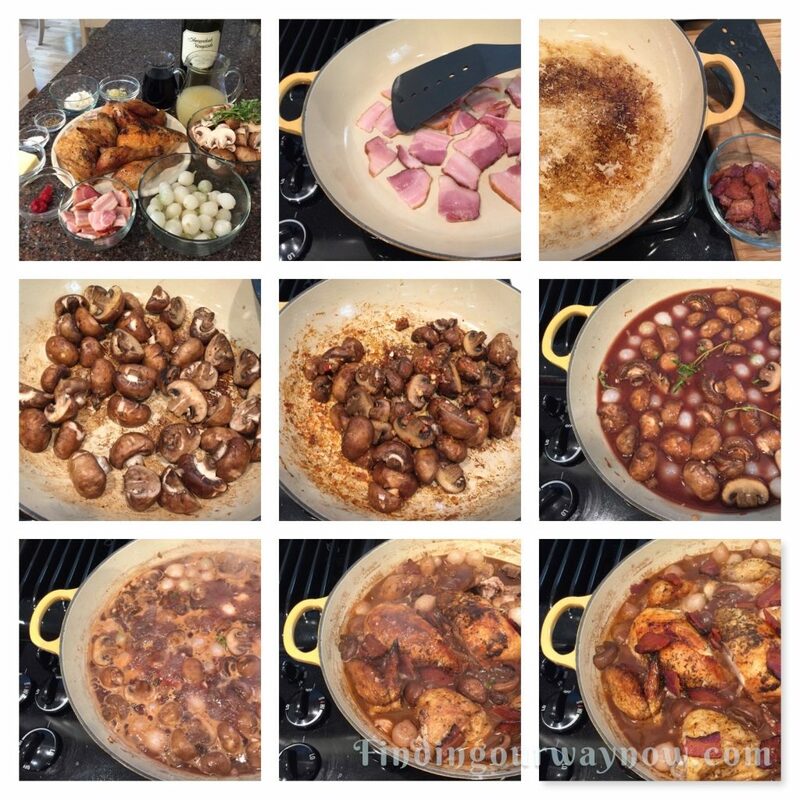 With that thought, I went in search for a way to make a Coq au Vin recipe approachable for the everyday cook. Without further ado, here is an easy version that has an amazing taste that will wow anyone. Ingredients: Makes 5 to 6 servings, depending on the size of your chicken. Fry the bacon in a 5-quart round cast iron braiser until the bacon pieces are crisp, about 6 or so minutes. Remove the bacon from the pan and place the pieces in a small bowl. Leave about 2 tablespoons of the bacon fat in the braiser, discarding the rest. To the braiser, add the mushrooms, ¼ teaspoon salt and pepper, and cook until the mushrooms are browned, about 3 minutes when the mushrooms start to release their moisture. Add the garlic, flour and tomato paste and stir to combine. Cook until the tomato paste darkens a bit. Add the chicken stock, wine, onions, thyme, ½ teaspoon salt and pepper. Bring the mixture to a boil and then reduce it to simmer. Cook for about 4 minutes until the mixture begins to thicken. Turn the heat down to a low simmer and whisk in the butter a little at a time. Nestle the chicken into the sauce; sprinkle the bacon evenly on top. Gently simmer the chicken until it’s heated through, 6 to 7 minutes. While the chicken is simmering, spoon the sauce over the chicken pieces several times to thoroughly coat. When the Coq au Vin is ready, remove the thyme sprigs, add a bit of salt and pepper to taste, and garnish with a few sprinkles of the chopped parsley and serve. One last thing: if you need an impressive make-ahead entree, then this is it. Make as directed above. Cool and refrigerate until you’re ready to serve. Doing this will improve the flavors when you do. Reheat on the stovetop, bring to a low boil and reduce to a low simmer until the chicken is warmed through and voila you have a spectacular meal. Notes: Use a quality red wine in the recipe; if it’s a wine you won’t drink, then it will certainly not enhance your dish in any way. If the chicken is cold, it may require 10 minutes or so to warm through. If the chicken is quite warm, you may only need to simmer it for 2 to 3 minutes. If you prefer to roast your chicken for this recipe, have at it. I just find it simpler to buy a precooked rotisserie chicken when I have limited time, and I feel a bit lazy. 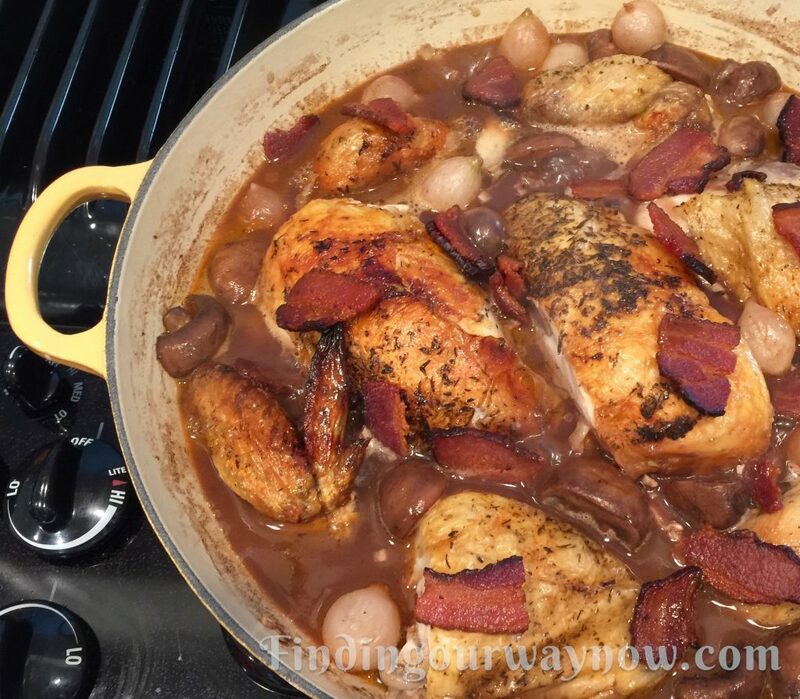 This Coq au Vin is a one-pot meal that will delight all your senses. 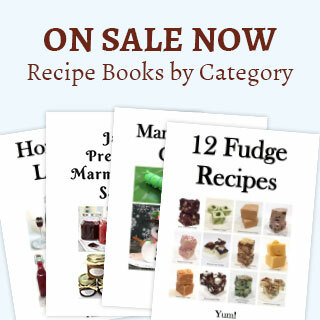 It’s a fabulous entree to have in your arsenal of recipes to prepare for your guests. All you need to complete the meal is a side salad, a fresh homemade baguette and a good bottle of red wine.